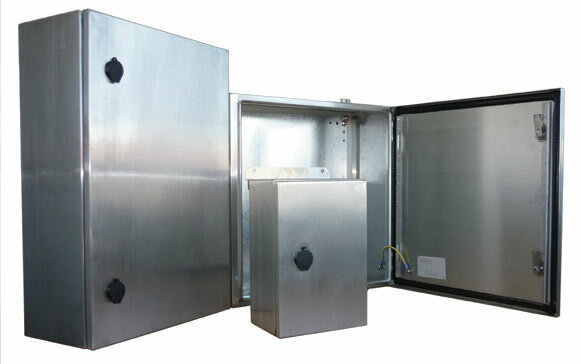 The WBS range of enclosures are manufactured from either 1.5mm or 2mm aisi 316l grade stainless steel. It has been third party certified by the Queensland Government Simtars test station to comply with AS60529-2003 IP66. The enclosure door is hinged on the right hand side as standard using concealed stainless steel hinges and hinge pins. The door is reversible and fitted with 3mm double bit locks with the gasket being continuously foamed in place with UV stabilised polyurethane. Applications typically using the WBS range include local control stations (LCU’s), process automation and switchgear control panels for the air conditioning, refrigeration, water, sewerage, industrial and mining sectors. Click image to view gallery (6).